It seems like forever since I’ve posted an ROW80 update. Here’s where I am. Starfane is now in print on CreateSpace and Amazon. I need to put a link to my paperbacks on my book page. Right now I only have my ebooks linked (and I didn’t have all of those until Kait busted me on it), and suddenly I’m like, duh, people MIGHT want the paperbacks. I have sold a few paperbacks of Haunted Lake, so that proves some people still like books in their hands. It’s my expectation that if they buy it for 99 cents they aren’t likely to ever go back to the listing page to see that it is now free. I don’t go back to the pages of the books I buy after I’ve bought them. You’re probably right, Kait. Have you noticed I’m always worrying about other people? It’s kind of in my nature. I should probably go ahead and put it on Amazon after it goes live on Smashwords. Oooh! 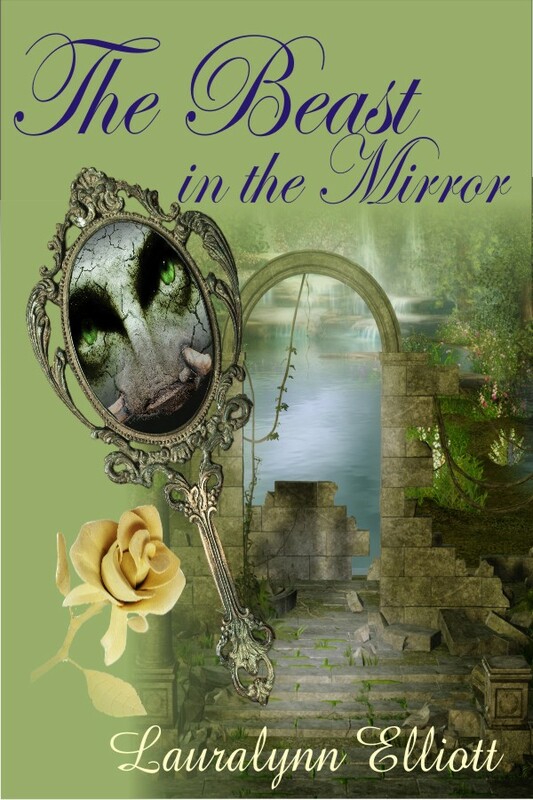 I love the covers, especially The Beast in the Mirror; and if the title is any suggestion of what it’s about, I like the idea, too! Definitely post the links to the paperbacks, so that when I have some extra money after the holidays, I can check ’em out. I might finally be getting a ereader from my parents for Christmas, but nothing will beat an actual physical book for me. Thanks, L.S.! I love the Beast cover, too. My mom really likes the story. I generally don’t buy paperbacks anymore unless it’s a book by someone I’m close to or if it’s a book I formatted for someone. (And my own books, of course, LOL) It’s too much cost and clutter. I have NOWHERE else to put any more books. But many people do still like the feel of the book in their hands, and I didn’t want to deprive readers of that option. What I’m going to do with my novellas is combine three into one book, since they’re short. I hope you get that ereader for Christmas! Congratulations on publishing the novel. I am looking forward to reading your work. Have you already got something else planned to start working on, or are you going to give yourself a break for a while? The covers look great. I am struggling to get mine sorted for my second novel. I understand what you are thinking about the free e-book and the risk of someone buying it for 99 cents. But for 99 cents, I wouldn’t be bothered if I then saw it was free. It happens all the time right? You save up for something (that costs a lot more than 99cents) you finally buy it and the next day it goes on sale. Pricing has always been tricky for me. But I never thought of the angle of saving up for something and then it going on sale. That is the same thing, really. Congrats on Starfane and Search for the Vampires’ Curse. I don’t think people who’ve paid for things go back and check the price later. At that point, they’ve got it. Thanks, Ryan. You’re probably right about the price thing. Kait said the same thing…no one is going to go back and look at that. I just wanted the thing to be free. Besides, since it’s very short, maybe no one will pay for it anyway. And it will eventually be free when Amazon discovers it free on Smashwords. I’m starting to lean toward publishing it on Amazon for .99. Thanks for letting me know your opinion on it, Claudia. It sounds like everyone agrees. Thanks, J.R.! And I appreciate you saying the story is worth it. 🙂 My mom loves it. I don’t think someone buying for 99 cents will get angry if it goes free. If it was $15.99 and then free, maybe. I’ve learned so much from all my ROW80 friends. My book was published 10/10 and I’m just now getting it on Smashwords (something I’d never heard about prior to publishing a book). How sad is that? Best of luck through the rest of 2011. Hoping to see you in ROW80 Round 1 2012! Isn’t ROW80 great? And everyone is so helpful. I’ve been publishing for a couple of years, but I still learn new stuff sometimes. I’m glad you learned about Smashwords. An author friend of mine told me about Smashwords a long time ago. I will definitely see you in Round 1 2012!